Porter (formerly The Porter), an online logistics marketplace run by Mumbai-based Resfeber Labs Pvt Ltd, has raised Rs 35 crore ($5.5 million) in a Series A funding round from VC firms Sequoia Capital and Kae Capital besides three angel investors. The individual investors include People Group founder Anupam Mittal, Rajeev Chitrabhanu (CEO and managing director of JM Financial Services) and Sandeep Tandon (co-founder of FreeCharge). The investment will be used to facilitate geographical expansion, improve existing products/solutions and for team augmentation, as per a press statement. VCCircle had first reported on Porter's new funding round and about Mittal's participation in the same. “Through the use of mobile technology for demand and supply aggregation, Porter is able to build a transparent marketplace, thus increasing vehicle utilisation while providing a standardised service. Business transportation will be transformed by smartphones, just as consumer transportation has been,” said Gautam Mago, managing director, Sequoia Capital India Advisors. 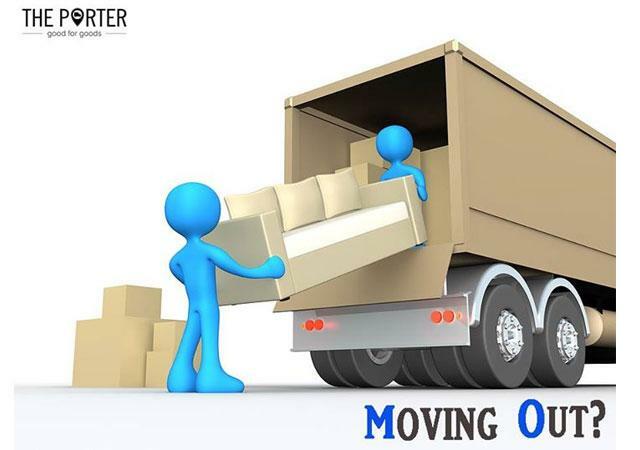 Founded in August 2014 by IIT graduates Pranav Goel, Uttam Digga and Vikas Choudhary, Porter allows users to hire vehicles for relocation or to move perishables, e-commerce deliveries and even construction supplies. It provides a platform to book mini-trucks and tempos for intra-city pick-up and deliveries. The company's vision is to be the Uber/Ola equivalent for the logistics industry. Porter currently has 300 vehicles handling 10,000 transactions every month in Mumbai and Delhi NCR. It plans to ramp up to six cities within a year. The company claims that with the help of technology and a mobile app for truckers, it is able to price its services around 20-30 per cent cheaper than the market. Porter's customers include Godrej, Reliance, ITC, Urban Ladder, Delhivery and Aramex among others. In April, Porter had raised Rs 3 crore (just under $500,000) from Kae Capital in its seed funding round. Porter competes with the likes of Moovo, Shippr, Zaicus and Blowhorn. Another company in this space is the yet-to-be launched FreightTiger, which is building a platform to make freight brokerage transactions more efficient.